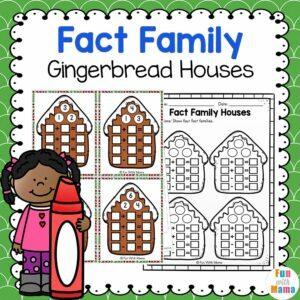 These gingerbread Fact Family houses include fact family worksheets, fact family cards and blank fact family activities for students in first and second grade to work through. The activity focuses on addition and subtraction. 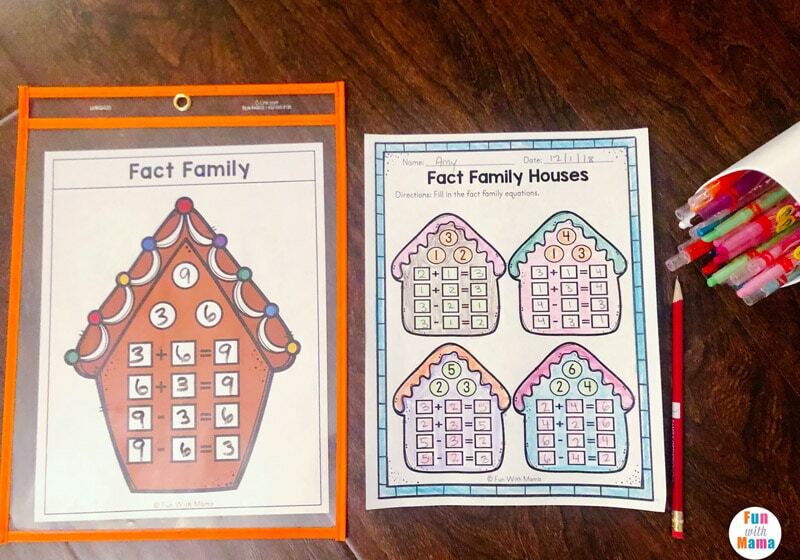 A fact family is a group of math facts that includes 3 numbers. These 3 numbers can be paired together to create 4 equations. An example of this is the fact family 3, 1 and 2. The biggest number is always the sum of the addition facts: 1+2=3 2+1=3 and the biggest number is always the first number in the subtraction equations: 3-2=1 and 3-1=2. 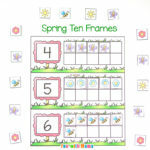 There are 5 fact family worksheets with the numbers included. I have also included a blank page for children to add their own fact families in there. 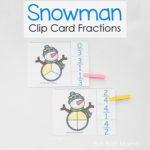 They can also choose a card and use the blank fact family worksheets to write the fact family equations. 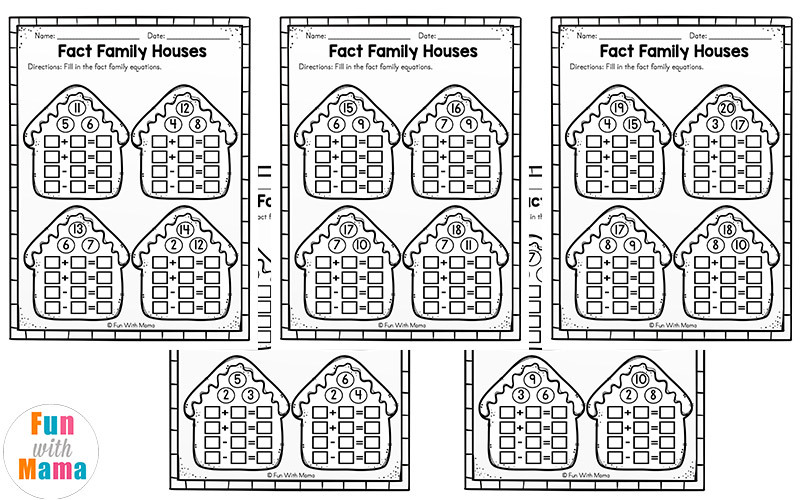 In my printable fact family worksheets, I have included the highest number on the top of the house. 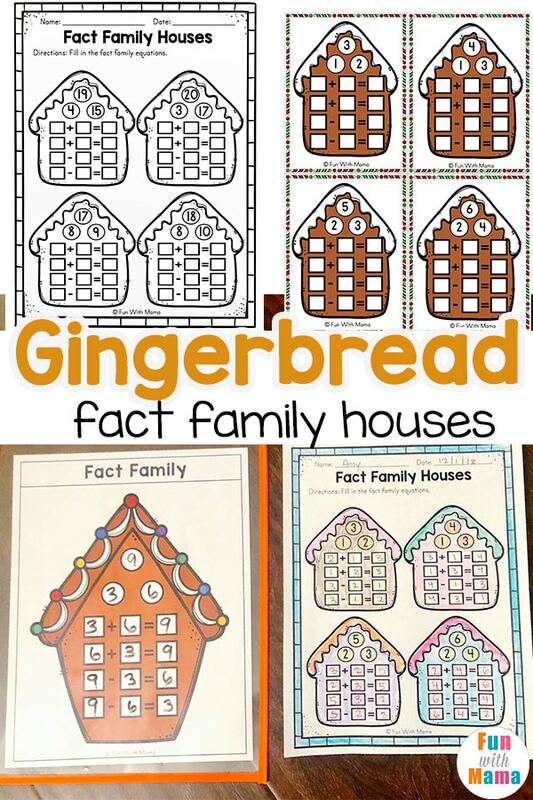 Using the fact family worksheets, students can write the correct equations and then color their gingerbread houses, to keep with the fun holiday gingerbread theme. 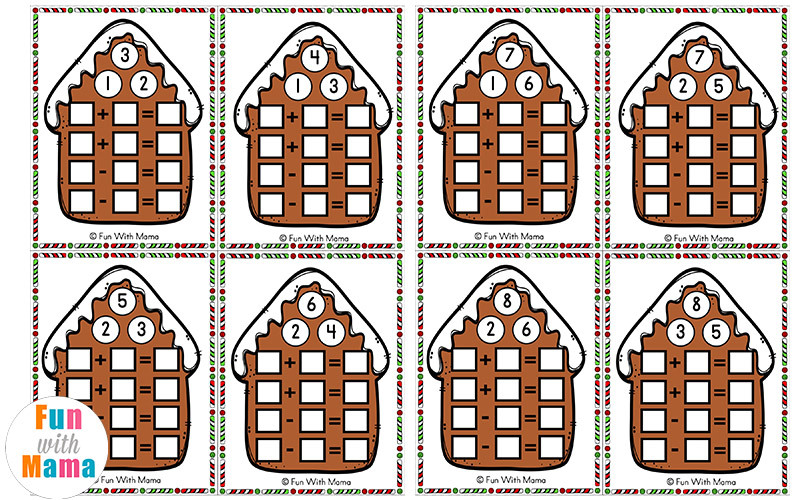 The full gingerbread fact family activities includes 24 pages of cards. These cards include 3 numbers that would make up the fact family. There are therefore 24 x 4= 96 cards. I have included these in color as well as a black and white copy. 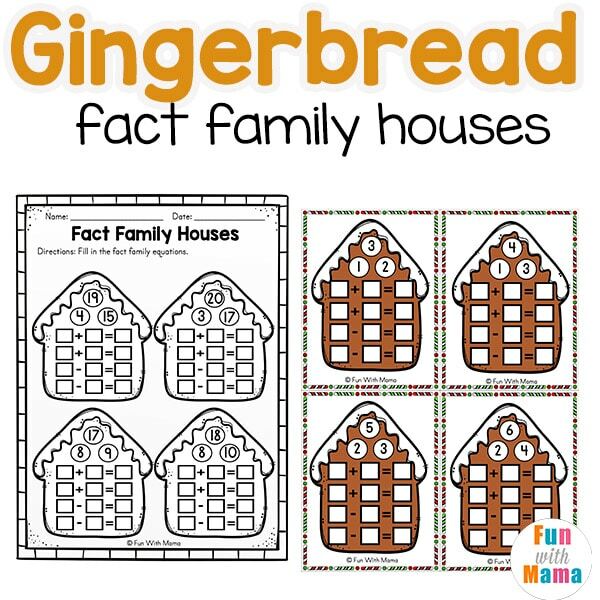 The full set also includes large Gingerbread Fact Family houses so that you can add this to your math centers or work on it in a group setting. 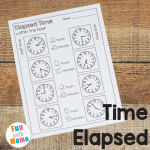 For each of the cards, you can either laminate them or put them into page protectors. 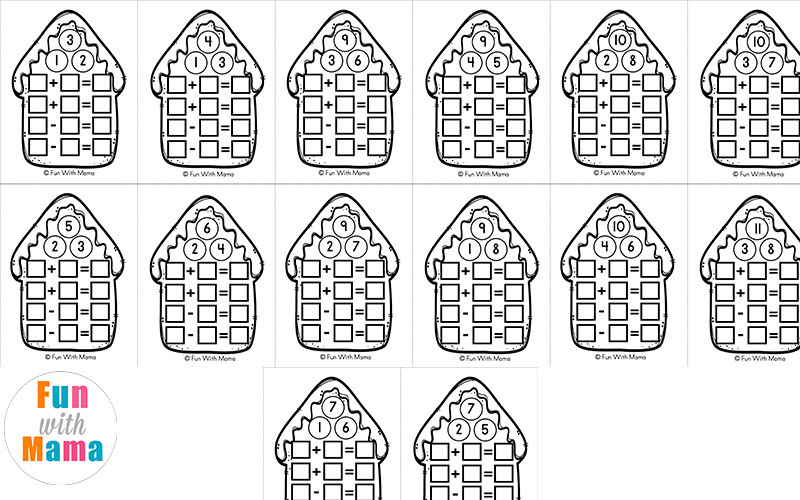 Looking for gingerbread activities for younger children? 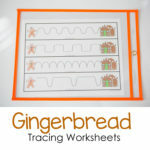 Then check out the gingerbread clip cards and gingerbread tracing sheets.